We have two shi-tzu pets at home and they are both adorable. They are so cute that we can't avoid playing with them every time we see them at home. They are well loved and cared for especially by my two kids. Since me and hubby are both working abroad, my two kids are the ones sleeping in our bedroom and guess what? They sometimes bring along with them our shih-tzu pets. 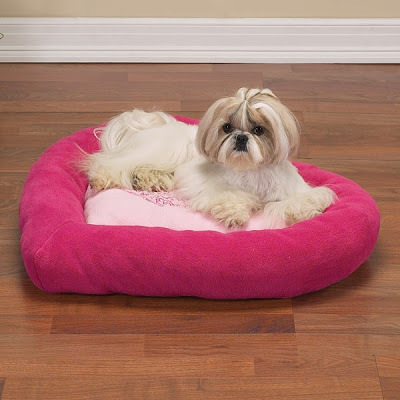 That's why when I saw this dog bed, I thought of having one for them, too. It really looks cute, isn't it? I think there will not much problem as these two shih-tzu pets are having their bath regularly. (lol). Shi-tzu's are great companies at home. They are cute and fun to be with. Although sometimes, I really find it hard to train and feed them, I cannot discount the fact that they are bringing great joy to the family. Do you have one in your home, too?